Xiaomi Mi Mix 2 Leaked! It Comes with Android Oreo and Snapdragon 836, Is It? 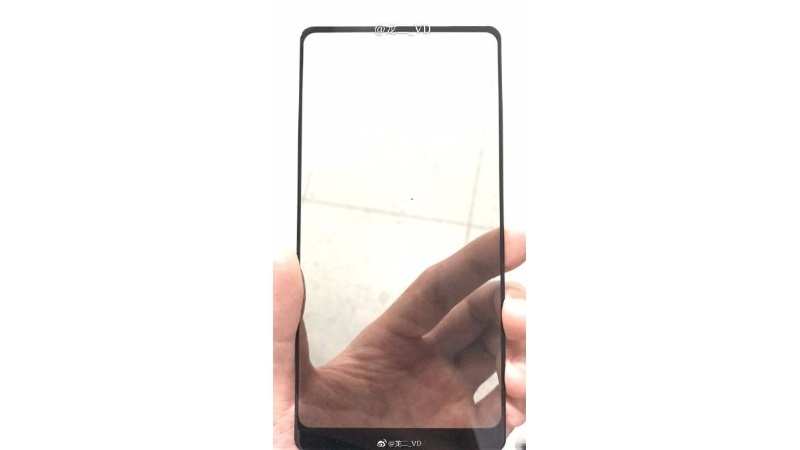 Home » Uncategories » Xiaomi Mi Mix 2 Leaked! It Comes with Android Oreo and Snapdragon 836, Is It? It is always a good news when the smartphone companies launching a brand new Android phone. Whether it is iPhone, Samsung, or even the new comer Xiaomi that steals the show. After Samsung released the latest generation of Galaxy Note 8, the Chinese smartphone-maker will follow their competitors to protect their market. Moreover, iPhone is ready to launch its new variant. So, Xiaomi is finally making a new move. This September, Xiaomi will release the Xiaomi Mi Mix 2 next week. But, just like the previous event, the phone's specification leaked. We couldn't give any confirmation whether it is their marketing strategy to test the market before the main event, or the leak information of Xiaomi Mi Mix 2 is actually true. So, what Xiaomi Mi Mix 2 looks like? As you can see at the picture below, it seems that Xiaomi has made a radical move by making a brand new frame for this phone. If you remember the Samsung Galaxy Edge, then Xiaomi tries to imitate their model by cutting the edge of the phone and make it sleeker. It is like a borderless phone! Based on the leaked picture, it seems that the handset has been tipped to adjust the new design. Plus, the front panel has new bezel – which is narrower in compare with its predecessor. This phone would fit in your hands because it has larger display with 6.2-inch screen. Mi Mix 2 would give you clear and clean interface with 1440x2960 pixel. Thanks to the screen resolution that makes everything so vivid. One of the posts in Weibo said that the new Mi Mix 2 would come out with 20 MP rear camera. We couldn't confirm about the front camera, but it supposed to be 5 or 8 MP. This phone would be suitable for those who like photography. And you don't have to be afraid about the battery, Xiaomi brings 4400 mAh battery that would last for a day. Another source also claimed that there would be 356 GB built-in storage. Now, you don't have to be afraid about your apps, files, pictures, and any other data on your phone. So, is it only about the display? Based on our research, Xiaomi will change its OS and processor as well. Rumor has said that the new Mi Mix 2 will be equipped with Snapdragon 836 SoC that is combined with a brand new Android Oreo. Yep, the latest generation of Google's OS would likely to be the main engine on Mi Mix 2. Just like iPhone, the new Xiaomi Mi Mix 2 would be available in three different types. You can buy the entry level that comes with 4 GB of RAM and 128 GB storage; the middle-class that comes with 6 GB of RAM with 128 GB storage; or the top-notch series that offers you 8 GB of RAM with 256 storage. The last name mentioned might be a limited edition! The best part about it is - if it is true, there would be 3D facial recognition as the new feature in Xiaomi Mi Mix 2. Now, Xiaomi is one step ahead their competitors in facial recognition segment. Unfortunately, there was no source that mentioned about the Xiaomi Mi Mix 2 price. The official details about Xiaomi Mi Mix 2 will be published on September 11. So, let's just wait and see when the truth be told!